Ready or not, this year's tax filing deadline is approaching quickly — April 17. And the big question for many businesses across the U.S. is how to avoid audits. If there is one thing to stress, it's this: File your business's tax forms on time or tell the Internal Revenue Service before April 17 that there will be a delay. Why? 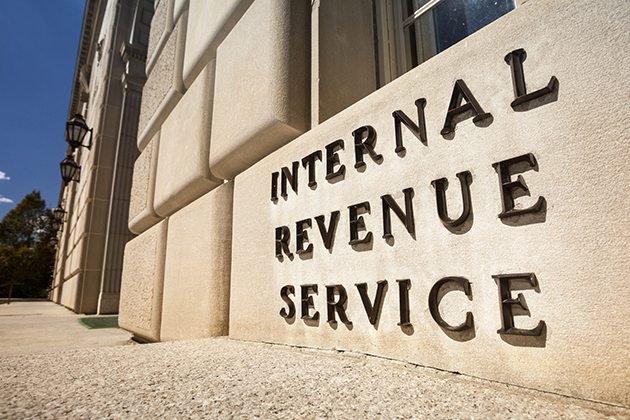 Filing late without notifying the IRS before the deadline is a red flag. "It's incredibly important for filers to file — or extend — on time and pay tax due on time," says Dawn Rhea, director of Moss Adams, a large accounting firm. Otherwise, your business takes on two risks. One is more IRS scrutiny, and the other is paying more penalty money in your tax return, according to Rhea. But what if there are big changes in the way you do business year-over-year? This can also send up a red flag. "Such disproportionate changes are one method the IRS uses in selecting returns for exam," Rhea said. In addition, the IRS is undertaking information matching, especially when it comes to contract labor. This means, "comparing payer reports such as Forms 1099 with the information reported on tax returns," she said. "In cases in which such information does not match, this is also a method that the IRS uses for selecting tax returns for exam and the sending of notices." Forms 1099, or W-9, are for self-employed independent contractors who labor for businesses such as Uber and Lyft that use mobile apps and websites. Independent contractors propel the gig economy of temporary wage income for workers classified as independent contractors. They file 1099 forms instead of the W-2 tax forms that company employees use. "Major issues happen with cash- and labor-intensive small businesses, first of all construction, delivery, entertainment," according to Andrey Mikhailitchenko, an associate professor of marketing and director of Sacramento State's Center for Small Business. One of the Center's clients in agriculture experienced such problems. "A tax audit is triggered by the comparison of revenues and amount of 1099 notifications based on W-9s," Mikhailitchenko said. "As some respondents said, if there are a disproportionate or small amount of 1099s for relatively high revenues, the IRS can be suspicious that an employer is using an illegal workforce." In such a scenario, a tax audit typically occurs during an office interview, he said. As 2017 ended, President Donald Trump signed the Tax Cuts and Jobs Act after it passed on a party-line vote in Congress. The law packs new information for businesses this tax-filing season, especially for independent contractors. There is a monetary motive at play. We turn to Elizabeth Lyon, J.D., LL.M., and a professor of accountancy at Sacramento State. "The new section 199A may potentially lead to an increase in employee misclassification, which may trigger more audits in that area," Lyon said. "This may become an even more significant area of concern now that new section 199A potentially allows independent contractors a 20 percent tax deduction that is not available to employees." This possibly increases workers' motivation to take the independent contractors classification. Some context helps with independent contractors. They account "for about 3 percent of total business receipts ... having come to encompass nearly 24 million 'businesses' in 2014 up from 15 million in 1997 and 22 million in 2007," according to a Brookings Institution study. "By comparison, total U.S. payroll employment was about 145 million in 2014, up from 129 million in 1997." Thus, the IRS is increasingly focusing on this category of worker classification. How can businesses avoid this risk for an audit? "Businesses should document the nature of the relationship and why the worker was classified as an independent contractor," Lyon said.